Thirteen years ago this week, we finalized the adoption of our first child. In the spring of 2003, a seven-year-old girl had struggled up the front steps of our home in Oklahoma, tattered vinyl suitcase clutched to her chest. In the room where we had wept so often for the baby that never came, I worked with this child to arrange her meager possessions in dresser drawers and toy chests. I remember vividly this child’s first morning in our home. I slipped into her room, knelt beside her bed, and slid my arm around the her shoulders. As I drew her close to me her body stiffened and her eyes flashed open. She looked wildly around the room and then stared into my face. Thus far in her brief life, she had lived with three different sets of parents in a half-dozen homes in two countries. At this moment she did not seem to be certain where she was or who it was that held her now. She nodded mutely, but her body stayed stiff and her eyes remained wide. Ever so gradually, she began to relax. Finally, she snuggled close to me and fell asleep in my arms. In this way a ritual began. Each morning I slipped into her room to hold her for a few moments. Each morning she awoke with a burst of fear. Then, slowly, she drew close to me and rested. Our routine continued for nearly three months. Then, one Saturday morning in late summer, something different happened. I gently pulled her toward me that morning, and her eyes did not open. She settled herself into my arms and murmured softly, “I love you, Daddy.” With this she returned to sleep. No opening of her eyes. No stiffening in her limbs. No frightened glances around the room. In place of the terror, there was trust. She knew my touch so well that she had settled into my embrace without even opening her eyes to make certain it was me. She had learned to trust my hands even when she could not see my face. That’s how I long to trust my heavenly Father. Amid the hubbub and the hullabaloo of my daily life, I do not always see my Father’s face. I cannot always find clear confirmations that he is near. Dark veils of disappointments, doubts, interruptions, and pain, seem to hide his nearness. I especially struggled to find his presence in those many months when my wife and I yearned for a child in a home that seemed so empty. Yet, even then, God was working, filling every moment of my life with glory that I struggled to see. 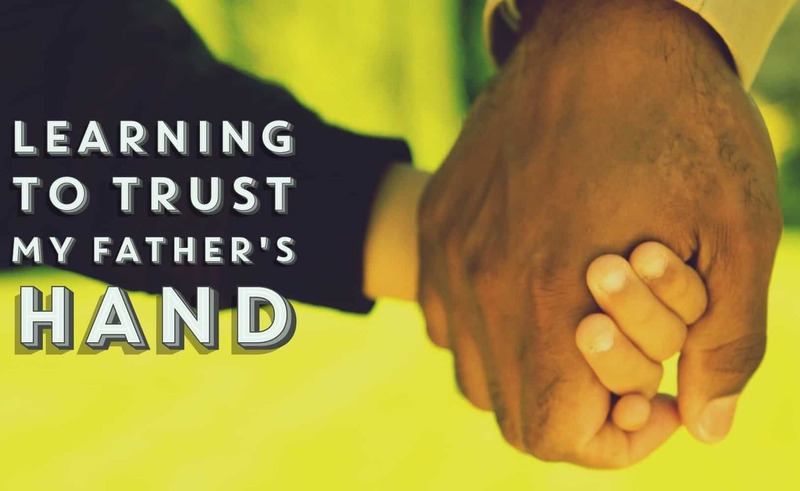 What does life look like when we trust our Father’s hand? Part of what happens is that, because no longer live in fear, we are able to enjoy the ordinary pleasures of life. When I trust my Father’s hand, I sense the halo of his glory along the edge of every earthly thing. When I trust my Father’s hand even in the moments when I cannot see his face, I discern the glory of God in the earthy aroma of well-brewed coffee, in the rambunctious antics of my children, the swirling mingled scents of hot dogs and fresh-cut grass at the ballpark, even in those moments of silence that descend upon me on those occasions when I find myself gridlocked in traffic. When I trust my Father’s hand, I recognize that the blueness of the sky this morning is no mere meteorological fluke; the sky is blue today because God is wild about the color blue, and at some point in eternity past, God lovingly crafted this specific shade of blue for this specific sky on this specific day. In December 2003, we finalized that first child’s adoption into our family. Since that time, we have finalized two more adoptions. These children, more than any other curriculum in my life, have taught me to trust God more than ever before. And so, today, Happy Adoption Finalization Day to this ridiculously diverse bevy of daughters that God has so graciously woven into my life. In them, I see the wonder of God’s goodness day by day. Through them, I have tasted ever so slightly how great is my heavenly Father’s love for me (1 John 3:1). Because of them, I am learning to trust my Father’s hand even when I cannot see my Father’s face. For more on glimpsing the wonder of God’s goodness in your daily life, take a look at my book Hullabaloo: Discovering Glory in Everyday Life. Where in your life do you struggle most to trust God when you cannot see clearly what he is doing? Meditate on these words from the apostle Paul: “For you did not receive a spirit of slavery so that you fall into fear. Instead, you have received the Spirit of adoption as sons” (Romans 8:15). 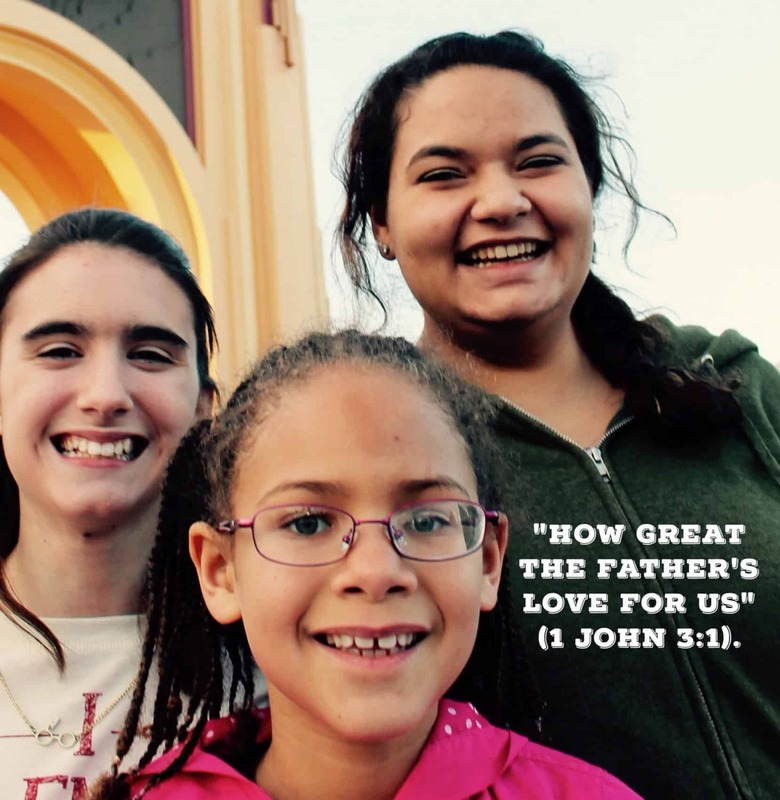 If you’re an adoptive parent or a child who’s been adopted, how has adoption helped you to understand more clearly God’s love for us in adoption?